We’ve heard college students in particular really appreciate getting their voicemail sent to their email, sending free text messages and reading voicemail transcriptions rather than listening to messages (especially handy while in class). But since Google Voice is currently only available by invite, a lot of students are still listening to voicemail and sending text messages the old-fashioned way. As a recent college graduate, I can’t think of anything more painful! So starting today, we’ll be giving priority Google Voice invites to students. To get an invite, just visit google.com/voice/students and enter an email address that that ends in .edu. 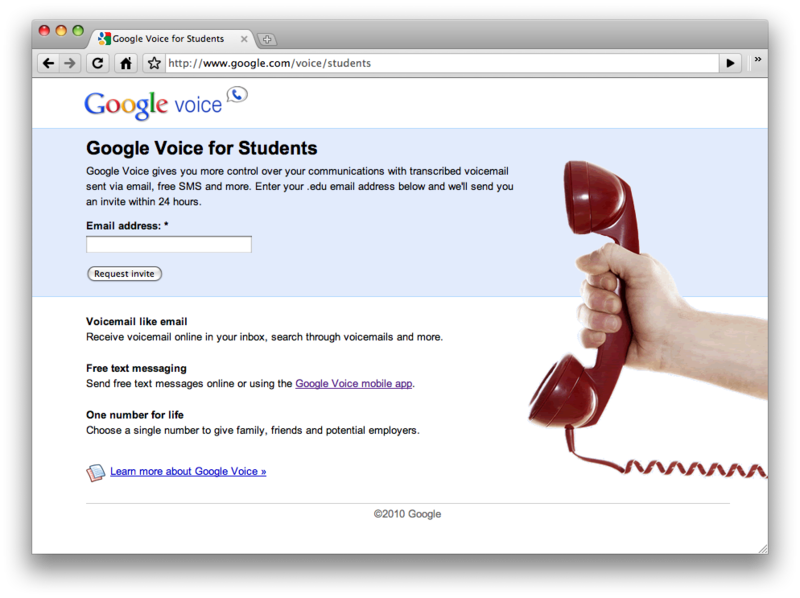 So if you’re a student, submit your email address and a Google Voice invite will arrive in your inbox within 24 hours. Keep in mind that only one invite will be be sent per email address and Google Voice is currently only available in the U.S. And if you’re new to Google Voice, check out our introductory videos at youtube.com/googlevoice.